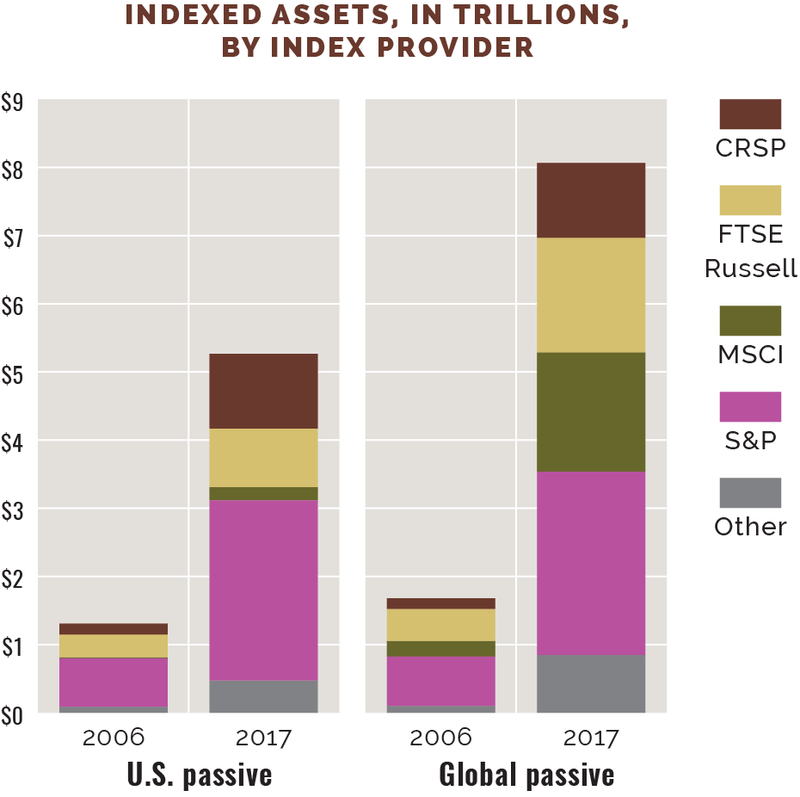 At the center of the passive equity investment universe are the four major index providers: CRSP, FTSE Russell, MSCI and S&P. These organizations create and manage the indexes against which passive investment managers track client assets. As the overall assets invested in indexed equity funds increase, concerns exist around the weight index provider decisions carry and their overall impact on market liquidity and price discovery. $8.1 trillion strong: $8.1 trillion is invested in indexed equity funds and ETFs globally — 11.7% of outstanding global equity — up from $1.7 trillion in 2006. Of the U.S. market cap, 17.4% is passively invested. Big four dominate: About 90% of global passively invested assets — and 91% of U.S. equity funds — are benchmarked to an index managed by one of the four largest providers. 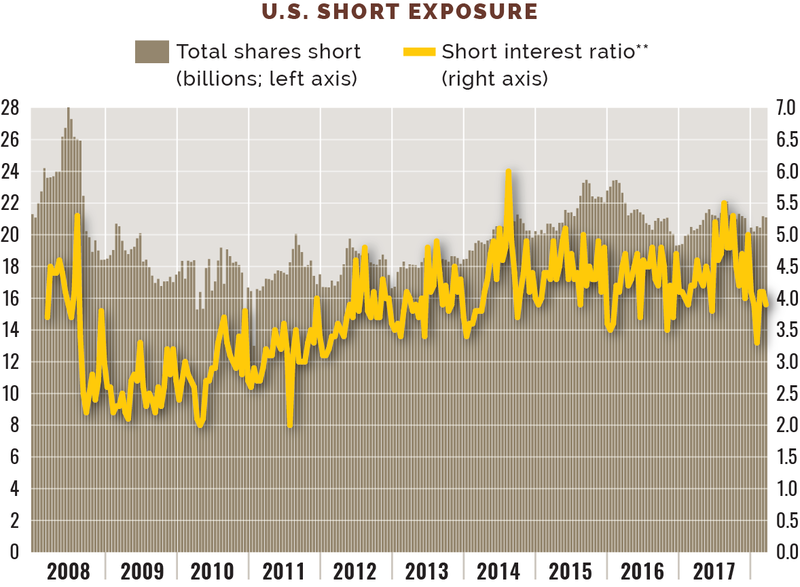 Shorting is up: Liquidity could suffer with larger pieces of the equity markets linked to index funds. 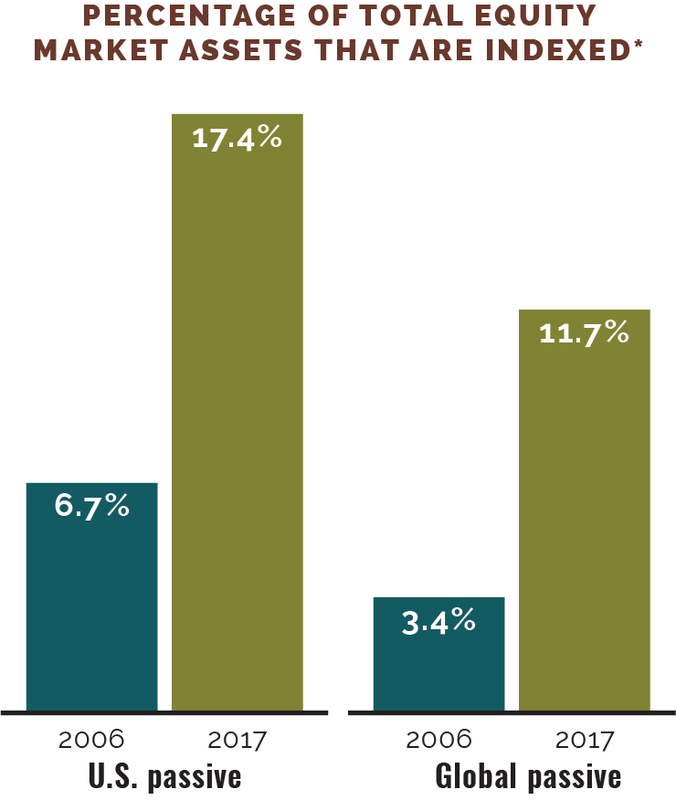 However, active funds still make up the majority of total investments, and short interest has increased since 2008. Investors are still contributing to the price discovery process and providing liquidity. 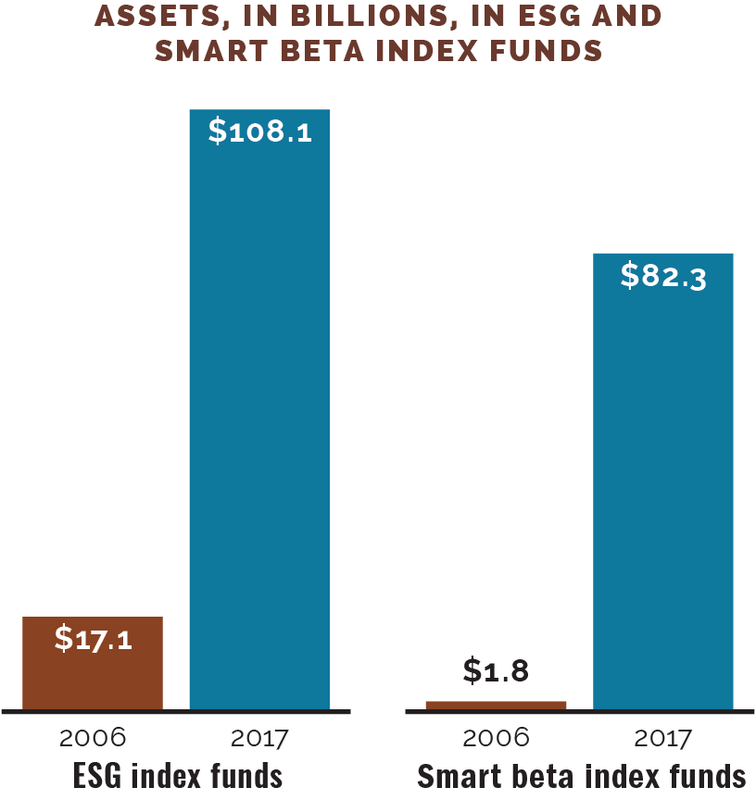 Innovation: Index providers are providing ESG- and smart-beta- focused indexes to meet demand for new products that passively track the market with tilts toward more specialized portfolios.